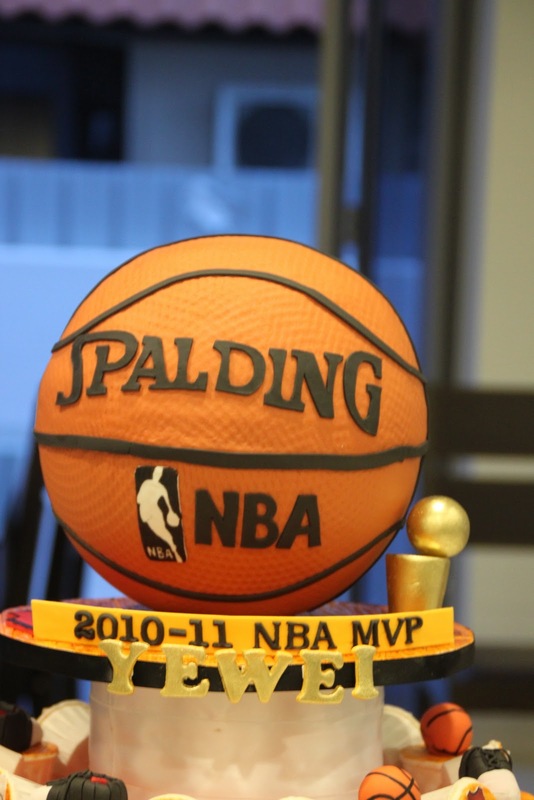 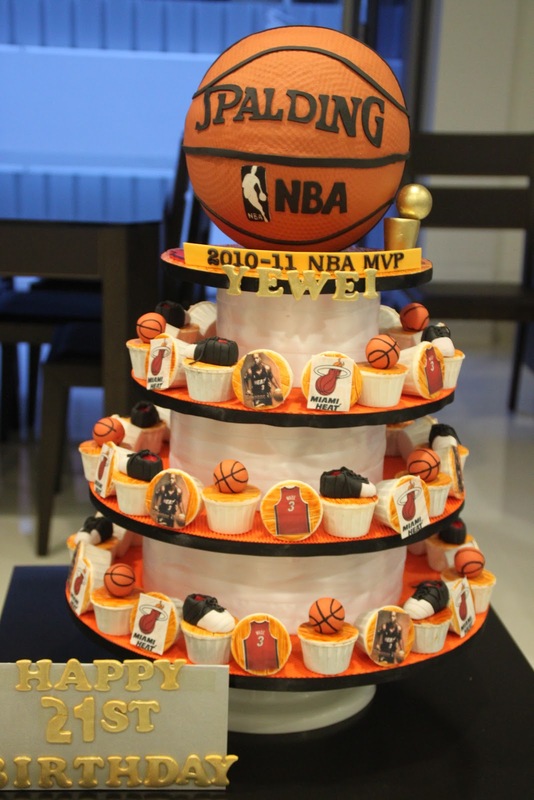 Third cake for the weekend was a basketball cupcake tower. 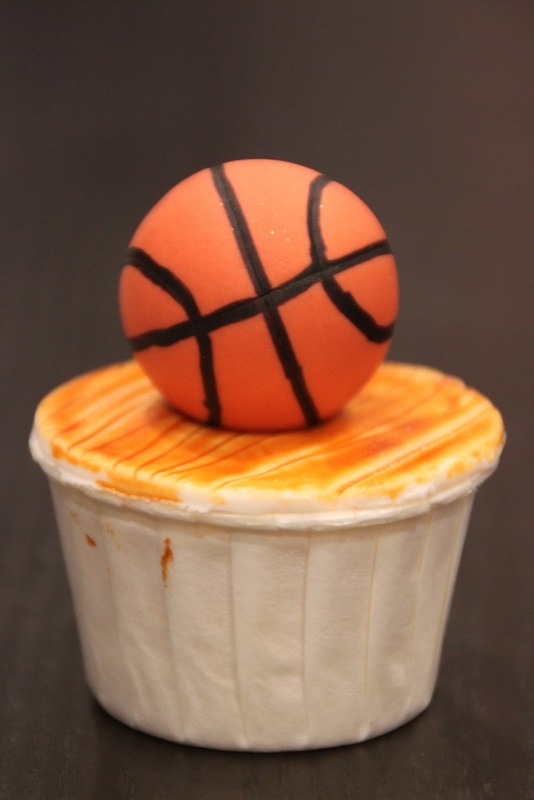 A very sweet sister dropped me a mail a month ago and asked if i could make her brother (who was turning 21 btw) a special basketball themed cake. 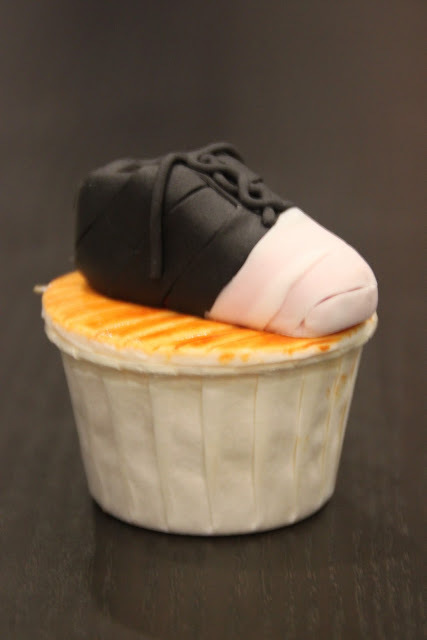 So birthday boy in question is a huge fan of Miami Heat, so the min cupcake toppers had a mix of jerseys, shoes, basketballs, miami heat logo and a kewl picture of his favorite player, dwyane wade. 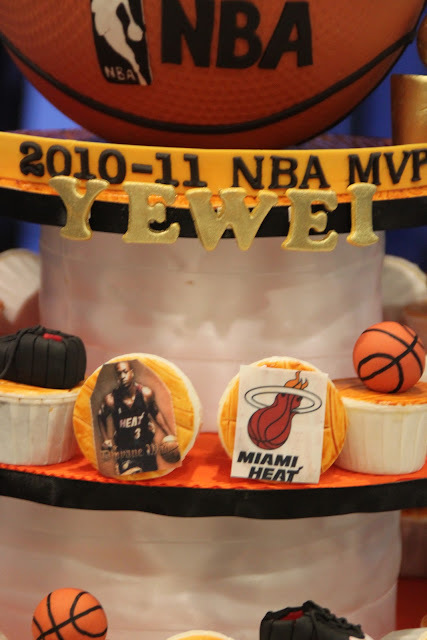 Mini cupcakes were a mix of lemon, red velvet, chocolate and vanilla.